I fell asleep last night dreaming about the day Ed and I had out in the Pacific exploring the backside cliffs of Lana’i and hunting for fish in the cobalt blue waters beyond. From spinner dolphin to leaping pygmy whales, from silvery flying fish to massive schools of small tuna the water seemed alive with life. Best of all, we were sharing the day with Matt Schweitzer. You can read about his experience (and that of the rest of the Schweitzer ‘ohana) here. We had already had the great experience of sharing some waves with Shawneen Schweitzer earlier in our trip. There’s nothing like her smiles and stoke on the water – whether the waves are big or small or if she’s on the water with novice or experienced surfers/paddlers. So, it was no surprise to discover that Matt shares that same sense of passion for time on the water and contagious sense of wonder for the islands, the geography, the marine life and the ocean. We have spent thousands of days out on the ocean from north to south and east to west, but this day was a “bucket list” standout. Seeing the backside of Lanai – mixed with history and stories Matt shares – and feeling 100% safe on his Radon 26 foot craft – it was an adventure we hope to repeat on a future visit to Maui. When you visit Maui be sure to explore the option of creating your custom and personalized Adventure Retreat. This blog is read mostly by standup paddlers – and does Maui Sports Adventures have options for you. Explore some of the options here. Surfing or foiling or windsurfing? They can take care of you for any of those experiences too. No worries about accommodations. Without fail, if you love the ocean, check out the Waterman Retreat! Find video and images that will have you planning your Maui Sports Adventure immediately. 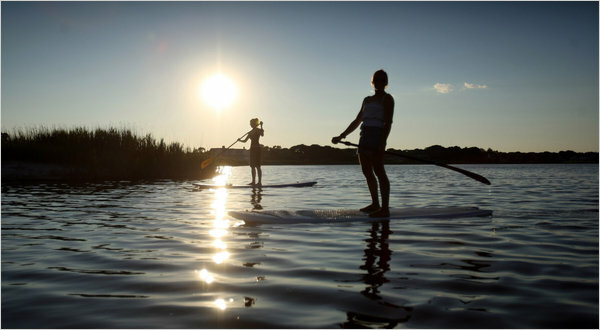 One of the most exciting aspects of stand up paddling is the ability to tour the coastlines. While on vacation on Maui you will notice that Hawaii boasts crystal clear water and colorful fish and turtle are abundant along the shoreline.Our expert stand up paddle guides are champion athletes and will take you on one of the most memorable SUP down-wind guided tours where you can coast with the wind and the ocean swells down Maui’s beautiful coast. All you will need is a camera to capture the breathtaking views of the islands from the water. We provide your gear which includes boards, and paddles and we will take you on a beautiful adventure tailored to your desires. It’s one thing to sit on the beach and watch the sun kiss the ocean with gold. It is quite another to be skimming over the Pacific on a beautiful catamaran – like the Sea Maui. Over the past couple of years the Sea Maui team has worked extremely hard at becoming a staple on Ka’anapali beach and making sure their guests have that magical Maui experience. We were fortunate to have chosen the snorkel trip over to Lanai on a beautiful Hawaiian day. What an awesome team cared for each of us every minute. We have taken a few catamaran trips with other companies and this experience was far and away the very best. All of the staff is experienced, certified and knowledgeable sailors who take visible pride in what they do. Our day began with a catered hot breakfast (with vegan option) but we chose the bacon, local sausage with our eggs and perfectly seasoned rice. Belly full, we lounged on the beanbags and savored a gorgeous passage over to Lanai. On this 5 hour adventure we traveled to Lanai and snorkeled in the stunning Manele Bay fish sanctuary. We spotted a huge variety of tropical fish – butterflies of many varieties, parrots, tangs, and many more. The sprawling coral reef seemed to go on forever with formations we hadn’t seen in other snorkel spots. Once our snorkel time was over we all scrambled back on board ready for the incredible buffet lunch and a premium open bar. The service and attention to every need could not have been better. Because the Sea Maui limits the number of clients on each trip there was ample time to connect with both the crew and the others on board. For a memorable sunset sail be sure to check out the Sea Maui Sunset Live trip! It’s the traditional sunset cocktail sail with upbeat and fun live music performed by popular local musicians. Spice up your night and hop on Sea Maui for some awesome cocktails, tasty food, and some great jams. They don’t call Sea Maui “Ka’anapali’s FUN BOAT” for nothing. These guys really know how to entertain. Real pros! Save your seat today! Book now. Easy breezy travel with 12’6″ Naish ONEs – check as luggage and good to GO! Grabbing our bags from the baggage carousel at Kahului Airport took on a sense of adventure. All we had were two duffel bags and a KIALOA paddle bag. The duffels held our Naish ONE inflatable 12’6″ race boards and our clothes – all under 40 lbs. Within 15 minutes we had our rental care and off we headed to what is always our first stop in Maui – the Naish Maui Pro Center just minutes from the airport. Whether you surf, SUP, Kiteboard or windsurf a visit to Naish Maui Pro Center is your best first stop. Walking in, there was Jay in deep conversation with a customer about local conditions and ability level. Behind the counter instead of simply ringing up a sale, Sam was searching online for webcam shots of the Kauhlui Harbor to share with an eager customer as he purchased his more advanced 2014 kite. “Coach” Jeff Hughes, manager of Naish Maui Pro Center, dropped what he was doing as we came in, welcoming us with the same enthusiasm he extends to all. The vibe of the entire store is “local,” and respectful of all seeking water fun whatever our ability.In spite of being pretty well-equipped for all the downwind fun we were planning (so cool to travel with our Naish ONEs), we needed the best SUP surfboards for the smallish wave fun we’d be having in the Kaanapali/Lahaina area. Coach pointed out the Hokua 9’5 and 9’10” all ready for us. Beautiful! As Jay helped us load the boards, being winter, we had to ask what was pending for Peahi (Jaws) this week. 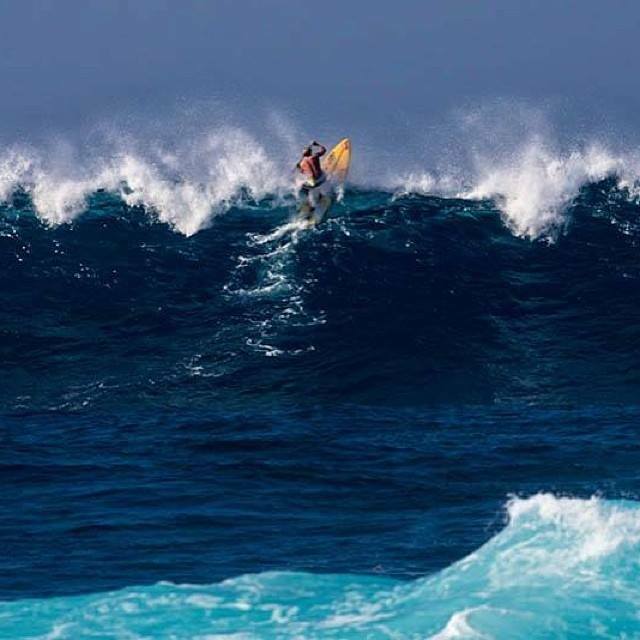 Chuck Patterson rocks his Naish Hokua with power and then some! As luck would have it, word of a big swell for the very next day was buzzing around. Within minutes we were at the computer by the checkout counter searching for news and webcam shots. There was no way any of the staff could mask both their enthusiasm for swells, surf and the ocean or their deep expertise. That alone provides a wonderful buying or rental experience, but the “local” vibe doesn’t stop there. No matter how busy the shop is – in the retail front or in the rental and repair back room, there always seems to be time to answer the most basic questions or to expound on the more technical topics. When you are on Maui and you are looking for the best equipment and the feeling of a hometown shop, go no further than Naish Maui Pro Center. It’s easy to get all your equipment reserved and ready before you leave home. It’s just as easy to hone in on the best areas to enjoy that equipment once you arrive. The team will match your ability to local weather conditions, swells, and clue you in on tides. To our great excitement – they will also get you in the local loop as far as unique conditions are concerned. YES! We made the long hike from the road all the way out to Peahi Bluff (way better than trying to get our rental car in and out!). We saw some incredible rides from the watermen and women who wait all year for this winter wonder to deliver its awesome-ness. And all that was the first 24 hours of our trip. Maui is wonderful. I met Candice Appleby for about 5 minutes at the Naish Gorge Challenge in August 2012. She’s a charismatic SUP athlete who’s hard to miss, wise and giving beyond her years. Most of us at age 27 are simply trying to figure what we and our lives are all about. For others, their focus, imagination, talent and commitment have inspired a clear path along the journey. 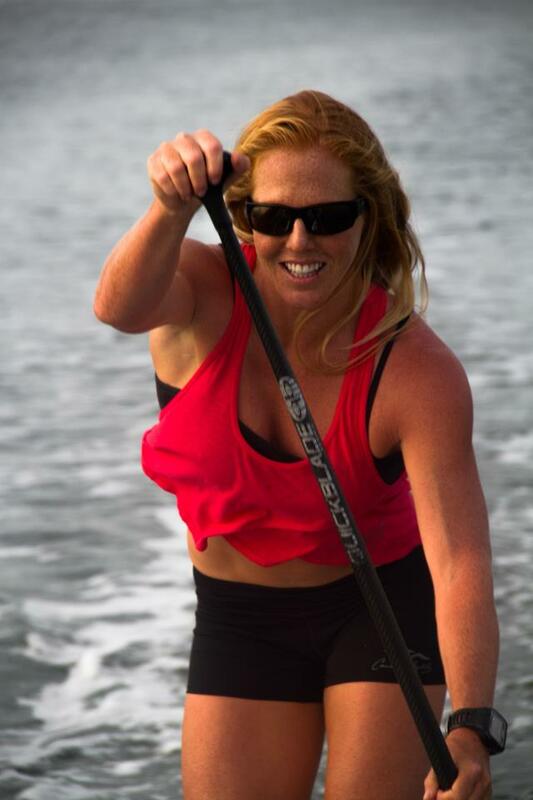 Candice Appleby discovered her passion for ocean and watersports early and has played her way with heart and hard training to the podium – and more importantly – beyond! 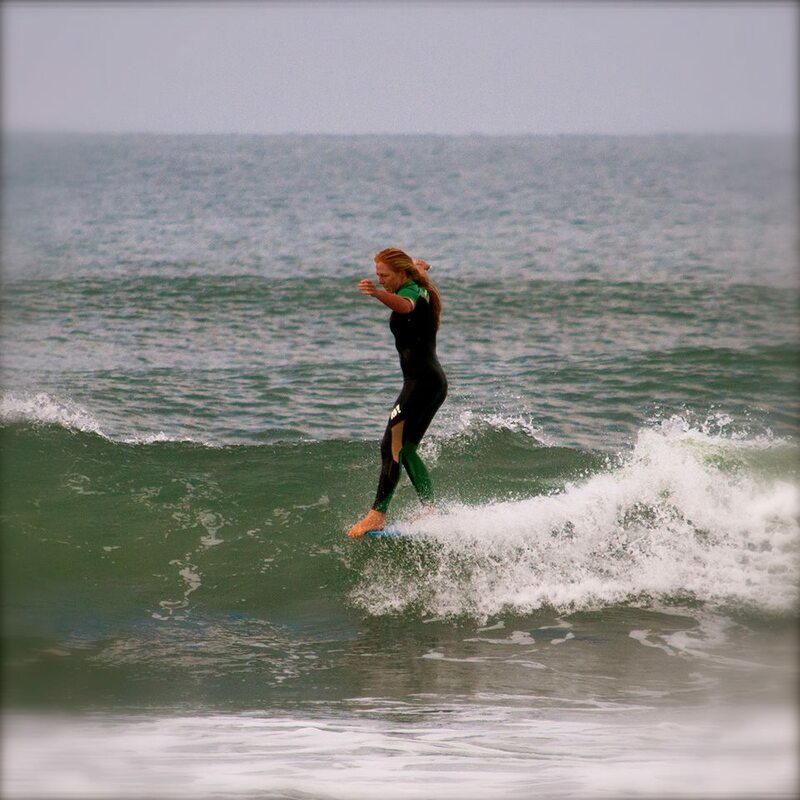 Beyond SUP, Candice competes in ocean triathlons, various Pro Longboard events, body surfing, canoe surfing, prone paddleboarding, lifeguard competitions and other ASP sanction events. In 2010, Stand Up Journal featured her as the “Woman of the Year” in their worldwide publication. in 2011 she launched an Anti-Bullying campaign called “Stand Up for the Children.” Expanding the ways in which she gives back, Candice has taken on the role of CFO/Co-Founder of Performance Paddling LLC. It is in the balance of fitness, competition, travel, family and faith that I am able to fully appreciate all the things I am capable of accomplishing, as well as inviting new opportunities into my life. Mentoring, coaching and providing leadership for youth paddling competitions and opportunities have developed into a valuable commitment to the sport we love. Thank you Candice and husband, Anthony Vela. Candice Appleby and Anthony Vela are two of the most recognizable faces in the world of Stand Up Paddling. Candice has won the Elite Race at the Battle of the Paddle more than anyone else but it’s not just the racing that makes these two so well loved. 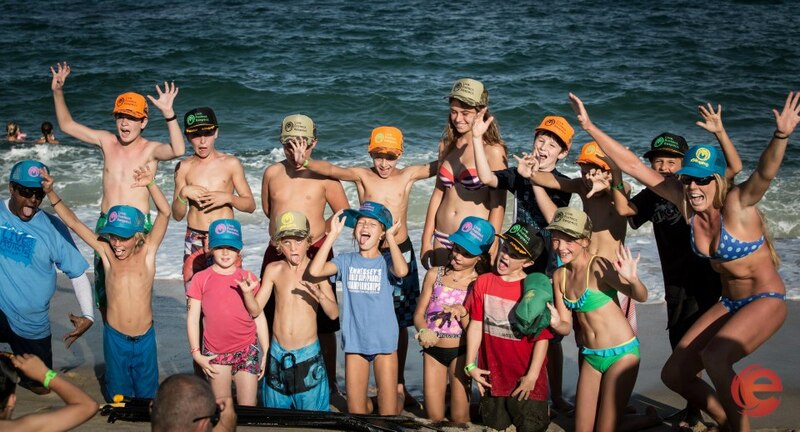 Candice recently shared these thoughts after the Inaugural Performance Paddling Junior Pro & Youth SUP (May 2013), “Yesterday was undoubtably one of the most joyful days of my life so far. All of the smiling faces of these precious children are engraved in my heart. Thank you so much from the bottom of my heart to all of the sponsors who helped make this event possible. To all of the volunteers and crew, this wouldn’t have been possible without your help. Each and every one of you played a huge role in the success of this event. Thank you so much for working so hard. To the Children, it was a pleasure watching your skills and talents on the water. You all shined bright for the whole SUP world to see. Parents, thank you for supporting your children’s ambitions and promoting a healthy active lifestyle. Anthony, I don’t even know what to say. You have changed my life in so many ways and helped me turn many of my dreams into realities. Thank you My Love. You are the best friend and companion I could ever have. And of course, thank you Lord! More and more Candice and Anthony are putting back into the sport, especially through their coaching. Just over twelve months ago the pair stepped up that commitment when they created Performance Paddling. 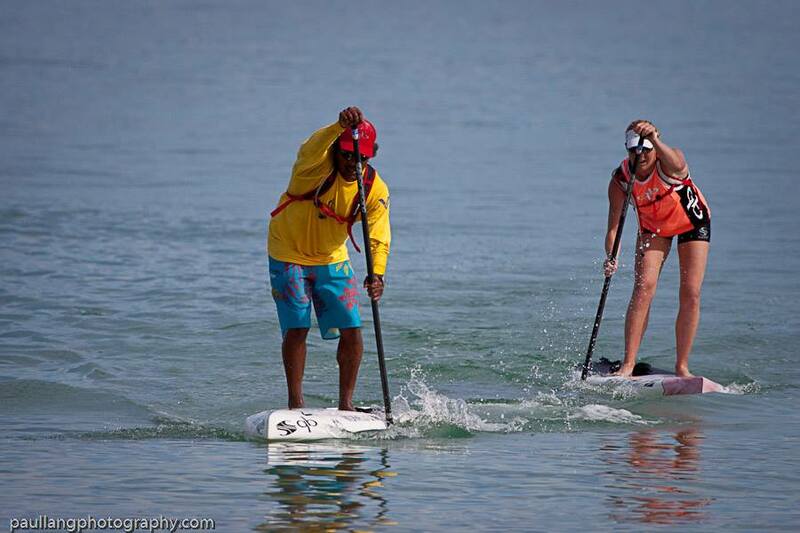 The initial focus was on hosting SUP coaching clinics at the big races they travel to. Their vision has evolved into much more. The creation of the “Performance Paddling Competition Team“, which is basically an elite junior squad of Stand Up Paddlers inspires paddlers both young and old while guiding the culture around standup paddling as a sport and a community. In a sport as young as SUP there is not a culture of tradition and mentors. Rather than having a cadre of “elders” who inspire the next generation, Candice and Anthony have stepped into that role. It will make all the difference. That sort of “connection across generations” is exactly the sort of story we love to share at Elder SUP. 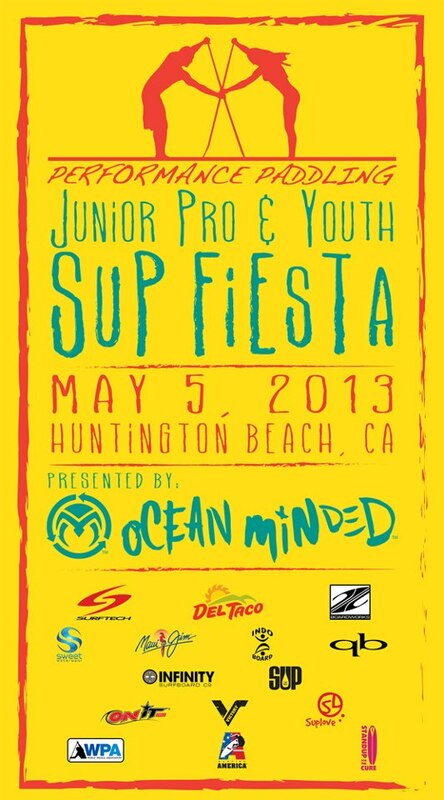 The Inaugural Performance Paddling Junior Pro & Youth Sup Fiesta presented by Ocean Minded, which took place in early May, had competitors coming from Australia, Maui, Oahu, Florida, Oregon, Idaho, Utah, and all over California. Proceeds were designated for Standup for the Cure for the cure of breast cancer. — with Quickblade Paddles, Fin Film company captured the spirit and positive joy of the event in a short film (LIKE Fin Film on Facebook). Candice recently posted a quote from a coffee table book titled, ONE. A portion of it is here. As you read it, it’s important to know that Candice posted it during a time she was recovering from hand surgery that has curtailed her competing as she heals and rehabs. During that time she has remained active and giving within the SUP world, all with her signature smile. “A great life includes something worth living for, maybe even worth dying for. A portion of a great life would be devoted to something bigger, greater, grander than yourself. Something that inspires you, energizes you, pulls you forward. Something that responds to your unique talent or touch and , ultimately, makes a difference in the world around you. A great life would naturally bring more meaning, love, laughter, wonder and adventure to your days. At the end of your journey you would look back on a life of significance, rather than regret-knowing in your heart that you left the world better than you found it. Knowing that you made a difference in the lives of others. Knowing that you got something wonderful out of it, and that you gave something wonderful back. There is no doubt that in the process of creating a great life for herself, Candice radiates the energy that inspires us to dig deeper, mine our talents well and share what we can with others – generously and with love. Sooner or later we’ll all have that injury or life challenge that will deliver a setback that demands our strongest attitude and commitment. Flexibility, a grin and accepting the support of friends can make the journey an exercise in the attitude of gratitude. Thanks for the reminder, Candice. Anthony Vela embraces ocean sports with gusto! Candice, I think you have made your own luck. As a SUP Muse, you inspire us to use our talents and energy in a similar manner. 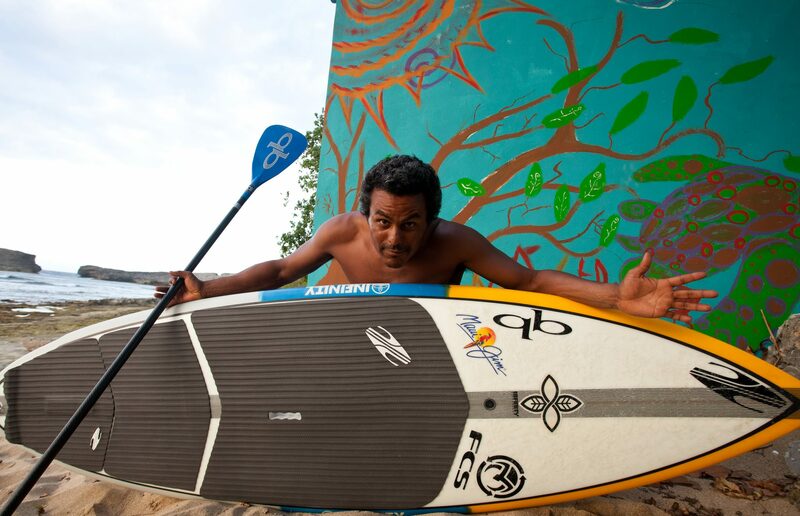 On the STANDUP PADDLE MAGAZINE’s Facebook page there was a great recap of the Olukai Ho’olaule’a posted. I am sharing the whole summary by Connor Baxter here. It’s almost like being there again! Connor Baxter, Dave Kalama, Kai Lenny, Suzie Cooney and all the elite SUP racers are in the front ready for a challenging run. “The Olukai Ho’olaule’a is a great event. Every year paddlers look forward to competing at this event in the infamous Maliko downwinder. The day started out with rain and very light winds. But, when driving down along the north shore we could see that the wind was picking up and the rain had stopped – and there were a few whitecaps. It was looking like it was going to be a good day. Driving into Maliko Gulch, I knew there were going to be a bunch of people – there were cars parked all the way out to the highway – and it was only 10am. What a great turnout. Once we got there – I checked in and got my board ready. And, of course had to say hi to everyone. At 11:30 we had a pule, a Hawaiian prayer and then all 300+ of us hit the water for a 12:00 start. It was a water start on the outside of the bay. The wind was a little onshore so I decided to start further outside. Once we were all lined up on the water the boat waved a yellow flag so we got ready to race. And bam the green flag went up and I sprinted right from the beginning. Dave Kalama and I pulled away right from the beginning and like always – were just trading off back and forth. Once we got to outer Baldwin I knew I had to put a gap on Dave. So I put my head down and I shifted into 6th gear and didn’t stop until I had a comfortable lead. Once I was a little ahead, I got into a steady rhythm and kept going. Coming into Camp One I was a little nervous, because I didn’t have a leash and there were waves. So I caught a medium size one and stepped to the tail and rode the wave to the inside. Once I hit the flat water I just kept my head down and sprinted all the way to the finish. I had a good lead of a minute and a half on Dave – and two and a half minutes on Kai in third place. I hit the beach and ran all the way to the finish line and spur of the moment I got a great idea to dolphin dive across the finish line – even though there was no one even close to me. Along with the millions of others who have strapped a GoPro to their head, chest, helmet, bike, boat, surfboard or SUP board, we are having a blast making video stories. Our stories aren’t the most incredible, extreme or unusual – they are simply “Our” stories. You have plenty of your own, right? And watching memories come alive in sight, sound, music and images is priceless! Luckily, avid GoPro fans from near and far have posted exactly the YouTube video we need to answer nearly any question we type into a search box. It’s truly amazing. Adding to that support is the GoPro site itself. Recently, I discovered an additional resource – the call back after an online form e-mail question I submitted. GoPro is a company 100% focused on making our experience with their products the best it can be. Are yopu wondering what my question was? The one that I couldn’t find and answer to and finally submitted it online? Look at the video below. In some of the sequences there is a gray shading on the left side. The footage that has that gray l;ine came from a GoPro Hero Silver edition we took straight from the box, charged and set out to use (without updating the firmware). How would we know we should have updated the firmware? We had actually gotten an e-mail from GoPro a week before. in the excitement of going to Hawaii to standup paddle, we ignored it. Our mistake. Once we accomplished the very easy task of downloading the update all subsequent footage was perfect! What a cool fix, quick and easy.